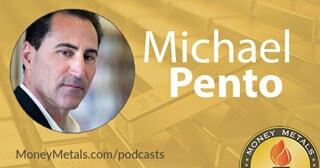 Coming up we’ll hear a truly explosive interview with Michael Pento of Pento Portfolio Strategies. Michael describes for us what may be coming in the bond and fixed income markets and the impact on the stock market and on gold prices in 2018. He also shares some of his very strong feelings about Bitcoin and the crypto-currencies. You absolutely must hear my conversation with Michael Pento, coming up after this week’s market update. On Thursday, Congress hastily passed a short-term funding bill that averts a government shutdown – but only for two weeks. Republicans and Democrats will have to come back to the negotiating table later this month in order to reach a deal on spending and contentious issues such as “deferred action” for illegal immigrants. There are a handful of Republicans in Congress who oppose these bipartisan budget deals on grounds that they grow government and grow the deficit. 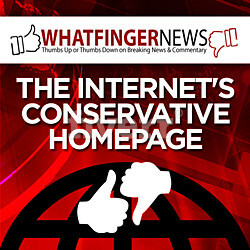 But whether fiscal conservatives have enough clout to force any meaningful concessions from leadership is doubtful. The political forces pushing for more spending and more borrowing on Capitol Hill are simply too great. And while unsustainable spending will have ruinous long-term consequences for the U.S. dollar, those consequences aren’t being felt just yet… at least not the negative ones. The stimulus of debt spending and currency creation is helping corporations boost their profits and their share prices, at least for now. Meanwhile, precious metals markets are having a rough go of it this week. Gold prices are down 2.5% since last Friday’s close to bring spot prices to $1,249 per ounce. Silver is off 63 cents or 3.8% for the week to trade at $15.83. Platinum is down 5.5% to $889, while palladium shows a weekly loss of 1.4% to come in at $1,010 per ounce as of this Friday morning recording. The U.S. Dollar Index is up over 1% for the week, but that doesn’t fully explain the weakness in gold and silver prices over the past few months. The dollar remains down significantly for the year, yet metals markets haven’t put on much of a counter-dollar move, with gold up only about $100 and silver now slightly negative for the year. The lack of investor interest in gold and silver this year may have more to do with what’s been going up. As long as the stock market keeps plowing ahead, the safe-haven appeal of hard assets will be limited mainly to those who are true contrarians, to those who are willing to go against the direction of the herd. Even among alternative asset investors and free-market money advocates, gold and silver have been overlooked in favor of newfangled digital currencies such as Bitcoin. This week Bitcoin surged to over $18,000 amidst volatile trading and soon to be opened futures contracts for the crypto-currency. Bob PIsani (CNBC): The first Bitcoin futures market, that’s going to begin Sunday night. Let’s talk to the man in charge of all this. Ed Tilly is the CEO of the CBOE. And Ed, congratulations, you’ve won this sort of arms race to get to the first Bitcoin futures. CME will be doing it a week later. You’re familiar with Jamie Dimon’s famous comment. Mr. Dimon had said, “If you’re stupid enough to buy Bitcoin, you’re going to pay the price for it one day.” He called it a fraud. Do you think this is an opportunity for Bitcoin? Do you think this is another great investment, or is it a fraud? Ed Tilley: There’s a suitability issue with every investment. Bitcoin should be no different. I don’t think we’re setting up Bitcoin and saying that’s for everybody, but we certainly know there’s interest out there on the long and the short side. Just about all of us can look back with regret for not having bought Bitcoin – or not having bought enough of it – when it was trading below $1,000. But there’s no point in dwelling on what you could have done in retrospect. There will always be something – whether it’s a penny stock, or an obscure commodity, or a rare piece of art, or an ideal plot of land – that you could have made a fortune on if only you had known what and when to buy. By the same token, those who own Bitcoin may one day regret not selling at what in retrospect was the top. Maybe we’re at it now. Maybe it has much further to go. But an asset class as volatile and speculative as crypto-currency won’t simply reach a plateau. When the upside momentum runs out for whatever reason, a crash of some magnitude will likely follow. Saxo Bank came out with a prediction that Bitcoin will hit $60,000 in 2018…only to crash back down to $1,000. If a scenario like that played out for the crypto-coin, the crash phase could be hugely bullish for hard coins – gold and silver. Bitcoin holders tend to value things like privacy, free markets, and being contrarian to what Wall Street and the banking establishment are pushing. If they lose confidence in crypto-currencies, many are likely to come back home to physical precious metals. In fact, we’ve recently seen a significant uptick in Money Metals customers buying gold and silver using their bitcoin for payment. It’s super easy to do that at Money Metals.com. And over the phone, you can also do larger buy OR sell transactions exchanging gold and silver for crypto currencies — or vice versa. Just call us at 1-800-800-1865 to do so. Well now for more on the state of the markets, the perilous situation the new head of the Federal Reserve will likely face in 2018, and for much more on the rise and potential fall of Bitcoin, let’s get right to this week’s exclusive interview. When the yield curve flattens out and inverts, it means this – and it doesn’t really matter why it happens – some people will say, well, I hear this Mike, that you shouldn’t worry about the yield curve inverting this time because it’s inverting because. Because, is the 10-year (German) bund is yielding .29%. Mario Draghi over in Europe is bending the whole yield curve to the south in Europe and that’s putting pressure on our yields here in the United States. Well, that’s true to some extent, but let me ask you a question, if the yield on the 10-year bund was .5% not too long ago, why is it .29% now in light of the fact that everybody knows the ECB is going to taper from 60 billion euros of QE today to 30 billion come January, and eventually stop their QE probably in October around the same time the Fed steps up their monthly sales to 50 billion. Mike Gleason: It sounds like a “perfect storm” sort of scenario there for the yellow metal. These days, when you talk about markets, the topic of bitcoin and crypto currencies is almost certain to come up. Bitcoin hit $13,000 earlier today as we’re talking here on Wednesday afternoon. It’s epic run higher this year cannot be ignored. Have you taken any interest in this space? We’d like to get your thoughts on where this phenomenon is headed.